For a Solo Mom who is juggling a job and raising children, planning for retirement and choosing the right kind of investments and retirement vehicle is a daunting task, to say the least. It’s hard to weed through all the promotional materials that come in the mail, in addition to all the information available online and in financial magazines, to find dependable retirement-planning resources. Knowing the importance of planning ahead, many Solo Moms rely on retirement advisers to guide them. Selecting the right plan (an individual retirement account, or IRA; a Roth IRA; a simplified employee pension plan, or SEP; a 401k) with the right investment (mutual fund; exchange-traded funds, or ETFs; and the like) requires time to study all the information, evaluate the risk of each option, and then complete the required paperwork—all before the tax-day deadline! As a result, whether signing up at a bank or brokerage firm, many Americans seek retirement advice from licensed financial consultants. Yet, unbeknown to most of us, loopholes in the retirement advice rules have allowed brokers and other advisers to recommend products that put their own profits ahead of their clients’ best interests, hurting millions of Americans and their families to the tune of $17 billion per year! Enter the Department of Labor (DOL), which, on April 6 of this year, proposed a new ruling that prohibits financial consultants from taking advantage of their clients through hidden fees and backdoor payments. For the single mom, it’s important to understand what this means in real dollars. 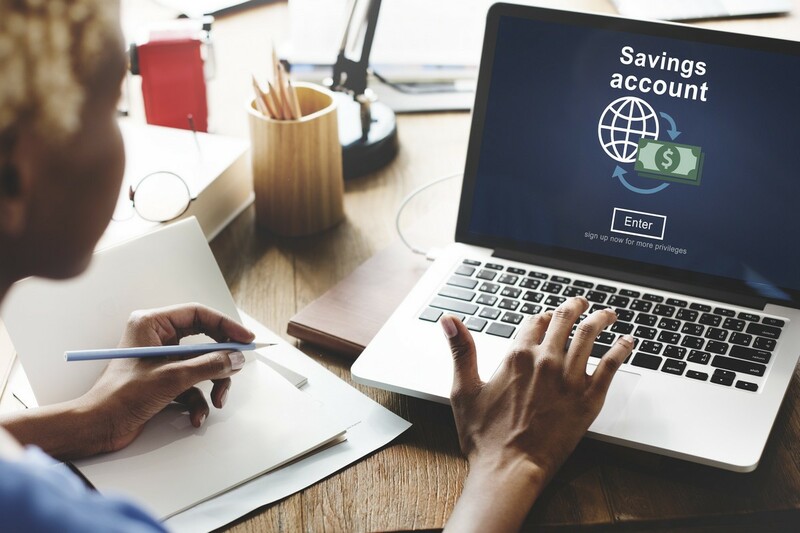 As an example, a lower return on your investment account by one percentage point could reduce your savings by more than a 25% over 35 years—so that a $10,000 retirement investment that would potentially grow to more than $38,000 over that period of time, after adjusting for inflation, may in fact only result in just over $27,500. How can this happen? These aforementioned “hidden costs” can be in the form of an up-front sales charge, a back-end termination fee, or an ongoing expense charge that can range anywhere from .25% to 2%. Another thing to be mindful of when planning your retirement is an expense ratio, or the calculation of the annualized operating costs of a mutual fund divided by the average dollar value of the fund’s average net assets expressed as a percentage. The operating costs include management fees, but they do not include brokerage fees and transaction costs that also may contribute to a fund’s total expense. Operating expenses are taken out of a fund’s assets and lower the return to a fund’s investors. For example, an expense ratio of 1% equals $10 of expenses for every $1,000 in assets. Upon closer inspection, these expense charges can add up to thousands of dollars over the term of your investment. Here’s why: If 2% is charged up front on your initial investment of $10,000, that totals $200, but as the account appreciates and your funds grow to $18,000, each year the expense charge takes 2%—or, in this case, $360—as part of the operating expense and that is an ongoing charge. These are the hidden costs the DOL is trying to bring to the public’s attention. Last year, President Obama called upon the DOL to update the rules and requirements for retirement advisers to put their clients’ best interests above their own financial interests. He was quoted as saying, “It’s a very simple principle: You want to give financial advice, you’ve got to put your client’s interests first.” And although it is true that there is a large percentage of the population that is unprepared for retirement, the DOL has decided to tighten its rules prohibiting financial consultants from taking advantage of their clients. The most vulnerable consumers are those looking to roll over assets from an employer plan. After years of contributions, a Solo Mom may have accumulated a substantial nest egg only to fall victim to a less than scrupulous financial adviser looking to capitalize on a sale. Is there a sales charge associated with the recommendations the broker is suggesting? What is the ongoing expense ratio the invested assets will be charged each year? If you are working with an individual money manager, what percentage is he or she receiving each year? What is the risk rating (beta rating) of the recommended investments? Is there a back-end charge if you decide to liquidate assets in the event funds are needed? Are the recommendations in keeping with your time frame so if the market takes a turn, you are not exposed to unrecoverable losses? And consider investing in a no-load mutual fund family such as Vanguard, T. Rowe Price, or Fidelity. With these fund families, there are no up-front sales charges, exorbitant expense ratios, or hidden fees. As a Moolah Doula, I focus on empowering women through knowledge. My clients learn all they need to know about investing, purchasing insurance, and long-term planning in order to make educated, thoughtful decisions. They prefer to educate themselves rather than give away their power to financial consultants or brokers. They have heard countless stories about people being sold “a great investment” only to suffer financial losses with little recourse. Knowledge is power, and every Solo Mom has the freedom to make her own retirement decisions without paying fees to financial consultants who may be looking out for their own best interests. It remains to be seen what effect this ruling will have on how financial consultants continue to work with people once they are required to put their clients’ interests before their own. Joanne Leffeld is a former certified financial planner and mom who has studied and taught yoga in the Hudson Valley for many years. Combining her experience in finance and yoga, she calls herself a “moolah doula” and helps people “give birth” to healthier relationships with money. Joanne also leads experiential workshops, teaches students the fundamentals of financial success, and is a partner in her husband’s lighting design firm, Band NY, Inc. Learn more about Joanne by visiting her website, joanneleffeld.com. Step one: manage your mind!